Paleo De-SNICKER-licious Cake | Easy Raw Cake Recipe! 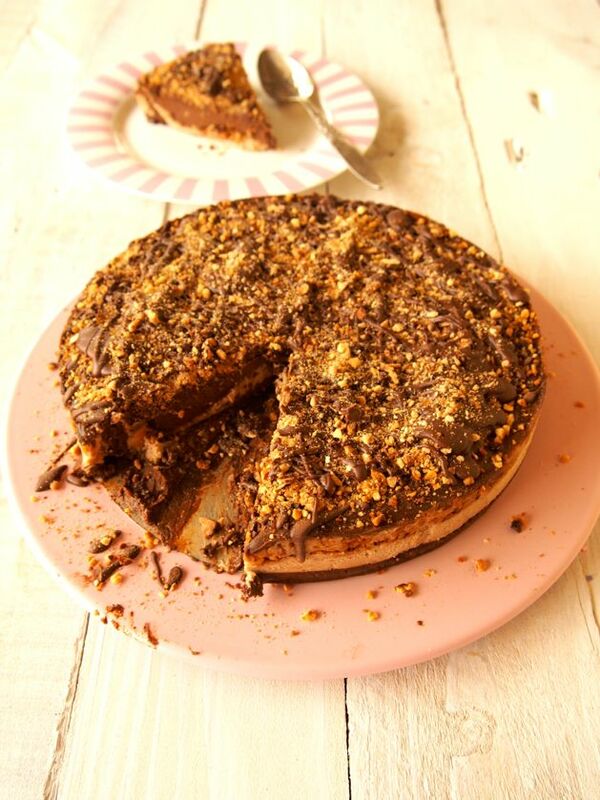 Paleo De-SNICKER-licious cake! Easy Raw Cake Recipe! It’s no lie that we love cake. We eat it for breakfast, lunch, dinner, snack, dessert, whenever we feel like it really. And don’t worry… we still get all our vegetables in! I love cake too! Especially paleo de-snicker-licious cake! We just really really love cake. We love making EPIC cakes… cakes that impress the socks off of our friends (and mum and dad!). Some people think that our book Make It Merry is only full of cake recipes… that’s not true… but maybe we should just make a book about cakes? 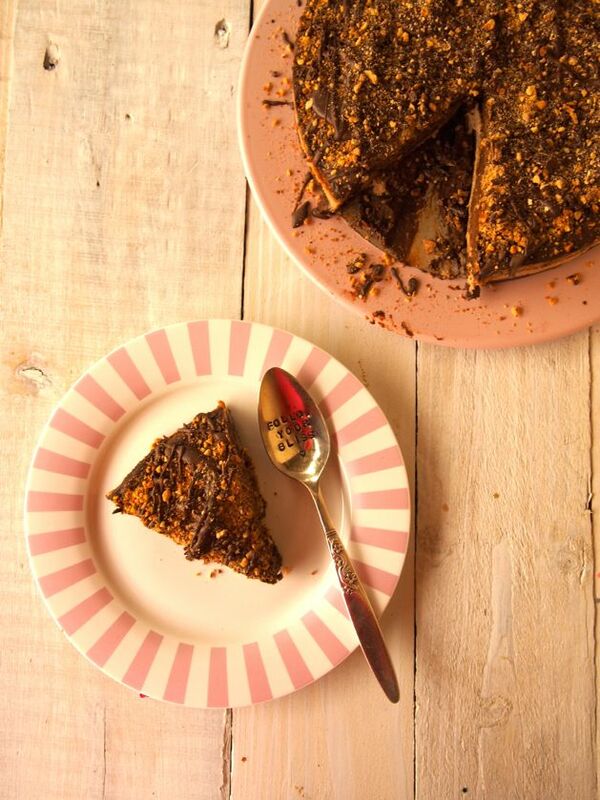 Yep, this Paleo De-SNICKER-licious Cake falls in to the ‘impress your socks off’ category. The best thing? It’s an EASY RAW CAKE! Honestly. It looks epic and the recipe looks long but ANYONE can make this. Back to the impressing socks off people thing. Layered cakes will do that. 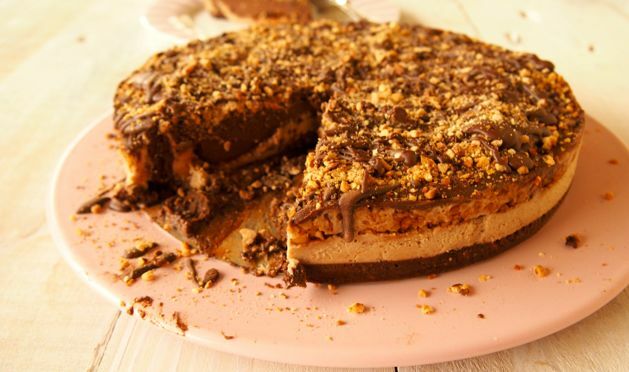 Especially when it’s layers of chocolate, caramel and crunchy bitty goodness! 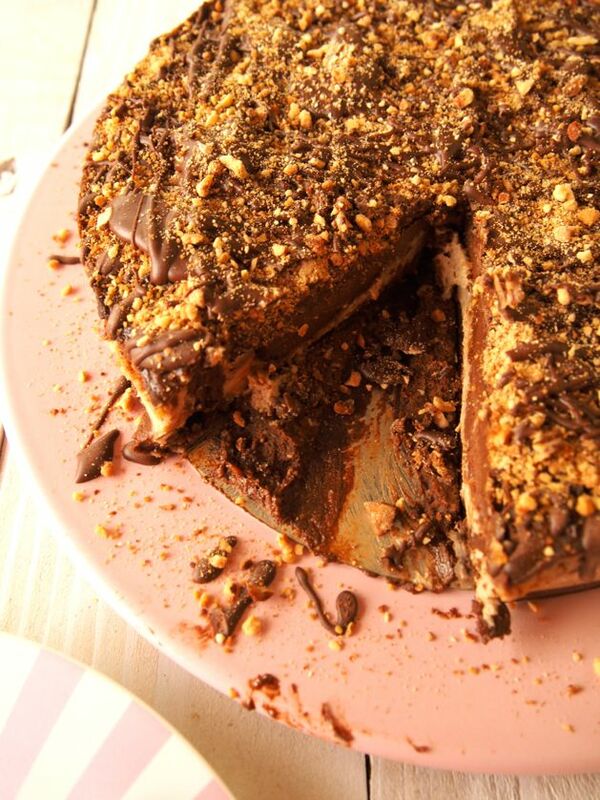 This cake actually tastes like a snickers bar… well, of what we can remember anyway. 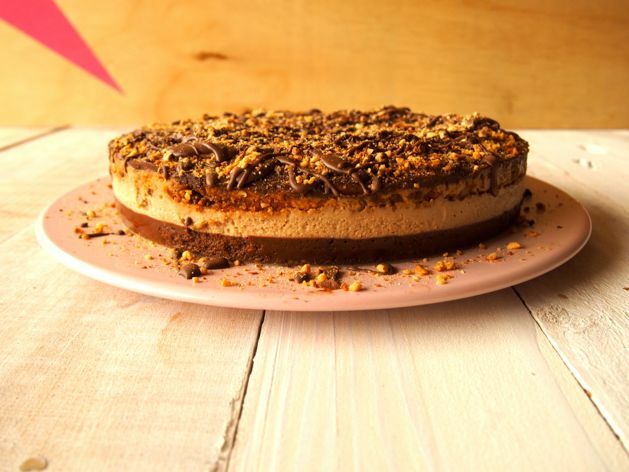 But we did ask for feedback from 5 of our friends who all agreed that yes… we can call this cake Paleo De-SNICKER-licious Cake as it does resemble a snicker bar… constructed into a cake. SO! Have we tempted you enough with the droolworthy pics? Now it’s your turn to get your de-snicker-licious on! Yay for easy raw cakes that are epicly beautiful and tasty! I’m tempted! Off to make Merrymaker Paleo De-Snicker-Licious Cake! Oh! And if you love this recipe be sure to checkout our FREE eCourse! It’s all about finding the right diet for you! Because we know we are all different and there is no one size fits all when it comes to eating styles. 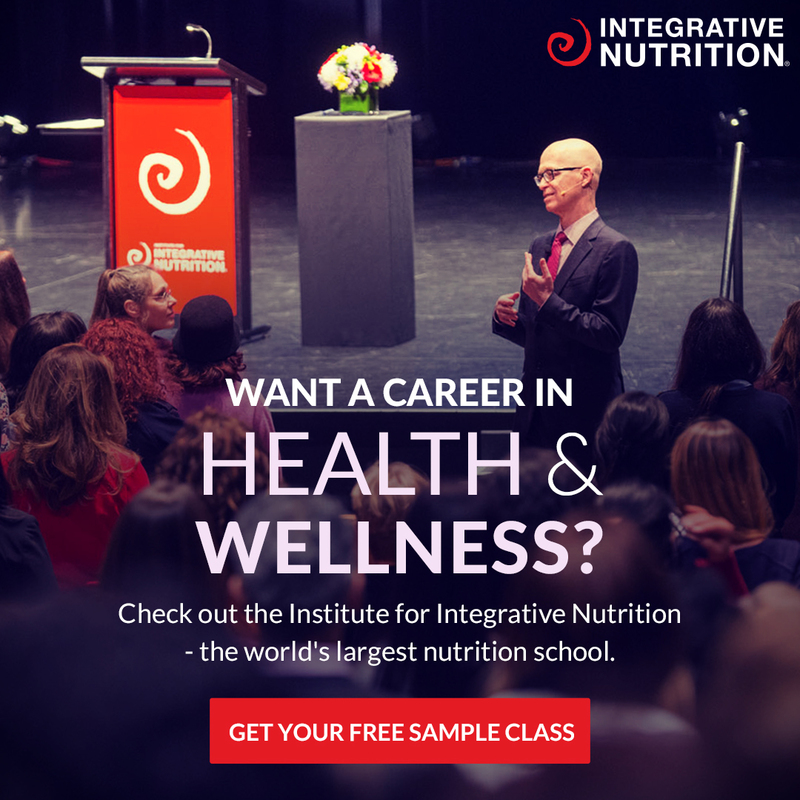 The stuff we talk about in this course is what helps us on a day to day basis in figuring out what foods make us thrive! Line the base of a 20 cm (8 inch) spring form cake tin with baking paper and grease the edges with a little coconut oil. Start with the crunchy bits. Preheat oven to 180°C (350°F) and line a baking tray with baking paper. Place the nuts on to the baking tray and sprinkle with coconut sugar. Place in to the oven and bake for 10 minutes, mix around and cook for a further 3-5 minutes. Allow the nuts to cool, then whiz in a blender until crumbly. Leave this for now. Time to start with the base. In a food processor/blender, place all the ingredients and whiz until a smooth butter forms. Transfer in to the prepared cake tin and press the base down, making sure you press it out evenly, covering the entire base. Place in to the freezer. Now to start with the filling. Drain and rinse the cashews and place them in to a food processor/blender along with the coconut milk, coconut oil, dates, vanilla and salt (NOT the cacao). Whiz until completely smooth, this will take around 5 minutes. Pour three quarters of the mixture on top of the base, sprinkle with 3 tbs. of crunchy bits and place back in to the freezer. Now add the raw cacao to the remaining mixture in the blender/processor and whiz again until combined. Pour the chocolate filling on top of the caramel layer and place in to the freezer for 2 hours. Meanwhile it’s time to make this cake EPIC with all the chocolate topping! In a food processor/blender, place the coconut oil, raw cacao powder, nut butter, coconut sugar, vanilla and salt. Whiz until smooth and glossy. This will take around 5 minutes. The friction from the blender allows the ingredients to melt together nicely! Once the cake is set take the cake out of the freezer and rub the outside of the cake tin with a hot cloth and release the spring form slowly (you may need to run a knife around the edge). 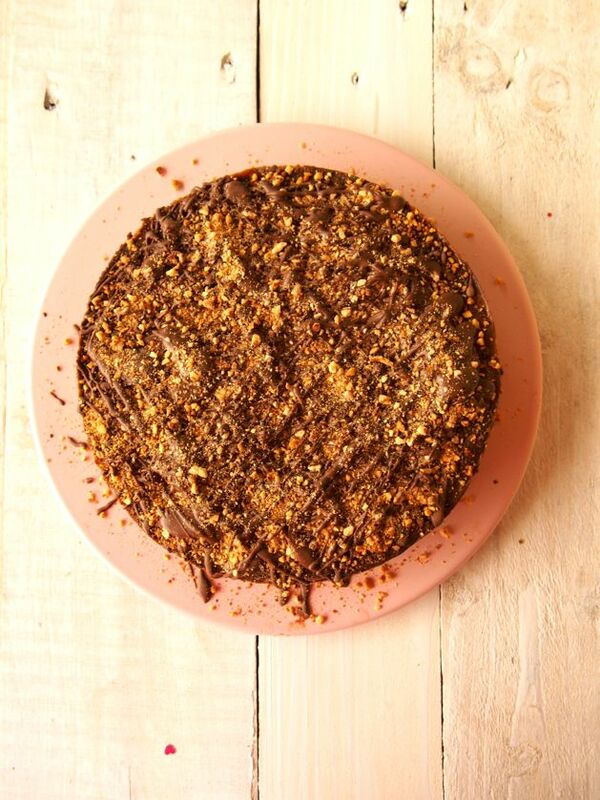 Place on to a cake stand, drizzle with chocolate, then sprinkle with crunchy bits, drizzle with chocolate, sprinkle with crunchy bits! Continue to do this until you run out of chocolate and crunchy bits! Cut in to slices with a hot knife and enjoy! 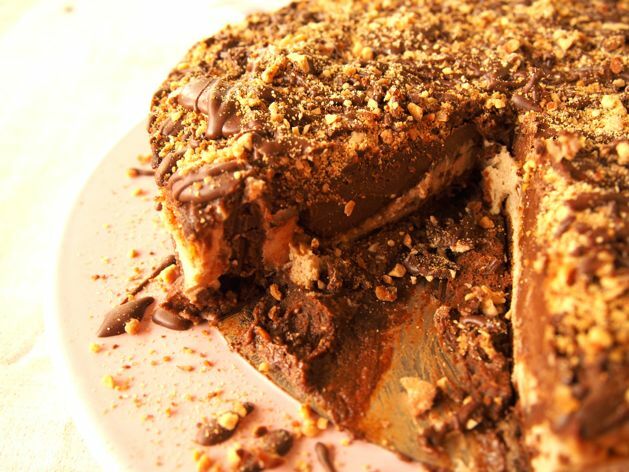 Store leftovers in the fridge or freezer and thaw out when you’re ready for a slice of de-snicker-licious cake! Now... it seems like a long recipe but take it step by step and you can DO THIS! Are you worried about fructose levels? 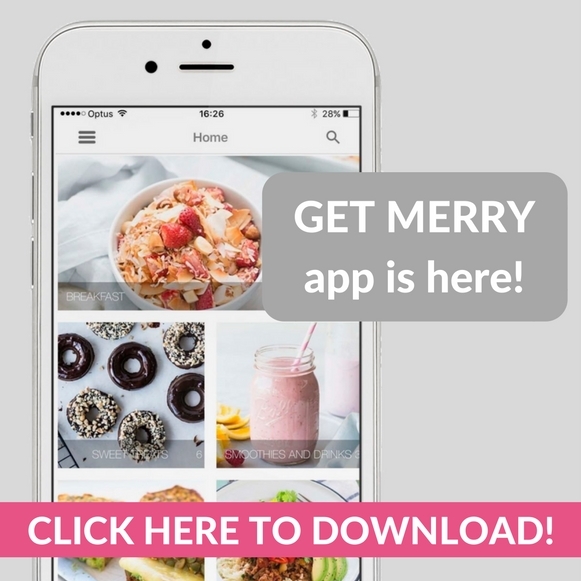 We have a whole range of low fructose and NO sweetener recipes! This caramel slice recipe is our favourite.